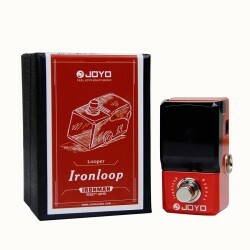 The new JOYO Footheramin is a frequency oscillating guitar effect pedal that can be operated easily by guitarists feet. 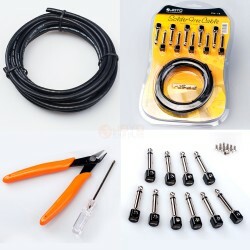 With two metal antenna that sense the relative position of the foot, the front aerial loop controls oscillators and frequency adjustment, and volume with the other. Switches control the type of the oscillation, adjusting band pass filters, pitch and gate linear sensitivity. Move your feet towards or away from the side aerial adjusts volume, whilst controlling RF oscillation, wave, gain and melon output with the other. Combine both to achieve the tone of the future. The pedal converts your foot waving movements into a wet ethereal modulating ensemble. The post latch flange processing and hinge back loops, result in an out of this world melon twisting octave bending tone. 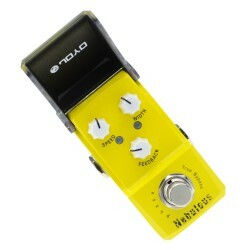 Check out the short demo, this is brand new guitar pedal like no other ! 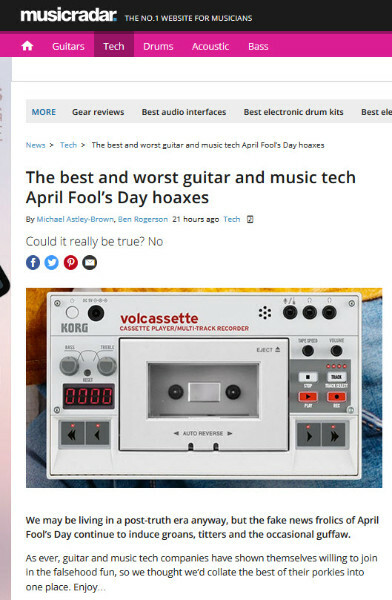 Okay before you think about buying this pedal, it was posted on April Fools Day 2019. We were officially rumbled by the guys at Music Radar. 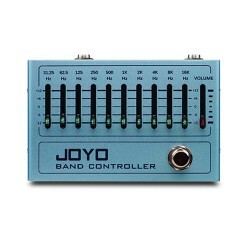 0 Comments To "JOYO Footheramin New Guitar Effect Pedal"